People who text while driving are 23% more likely to be in a car accident. At least 30 states enforce a ban against texting while driving. In Georgia any person caught violating the law can be fined up to $150 and have a point added to their license. A violator could ultimately be arrested for breaking this law. The law states that no one operating a motor vehicle of any kind in the State of Georgia may use a cell phone other than to make phone calls. This includes writing, sending, or reading a text message, e-mail, instant messages, or using social networking sites. Also, drivers under 18 with an instruction permit or Class D license may not use a cell phone at any time while driving, except in emergency situations. What if I am stopped at a red light, can I send a quick text? The answer is No! Only a driver that is legally parked can send a data message without being charged under the texting law. In addition school bus drivers are also prohibited from using a cell phone while one or more children are on the bus. When you send a text while driving a motor vehicle you are putting yourself and all other people around you in danger. Texting while driving is the equivalent of driving while blindfolded and you risk causing a serious car wreck while texting. If you are driving then it is not the time to send a text. Simply wait until you have reached your location. No text is worth risking your life for. At Link & Smith, P.C. We have years of experience handling texting while driving accidents. 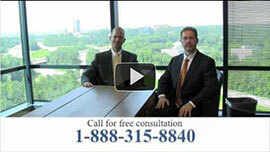 For a free no obligation consultation with one of our lawyers call us today at 404-315-8840.